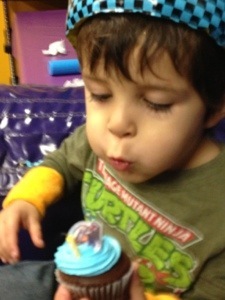 So Caleb turned 3 last month and Aiden turns 6 on Friday. 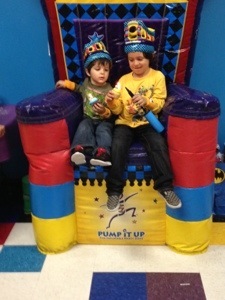 This past weekend we celebrated with friends and family with a super fun superhero themed party at Pump It Up!! 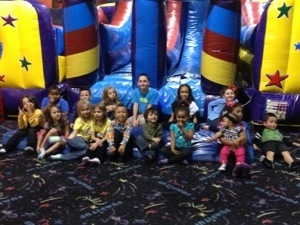 It’s a fun inflatable party place and they just started themed type parties. Of course we did the whole superhero theme where the kids had to protect the inflatables against the evil deflatenator!!! 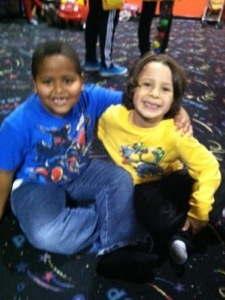 We had a good time and I’m still trying to wrap my head around the fact that aiden will be 6. I mean when in the heck did that happen?!! 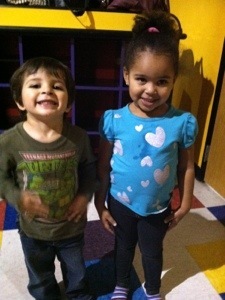 This entry was posted in KiddieTalk and tagged Aiden Caleb birthday. Bookmark the permalink. 1 Response to Birthday Bash! 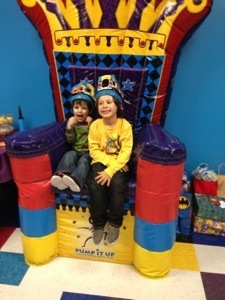 aw, happy birthday Caleb and Aiden!! !